100% cotton pigment dyed front panels and visor; 100% nylon mesh back. Structured, mid-profile, six-panel. 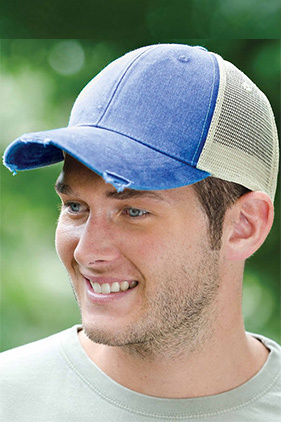 Distressed torn visor. Plastic tab closure.